Is English football more racist than American sports? Shocking news this week out of England as Fabio Capello resigned as manager of the national team just four months before the start of the Euro 2012 tournament. 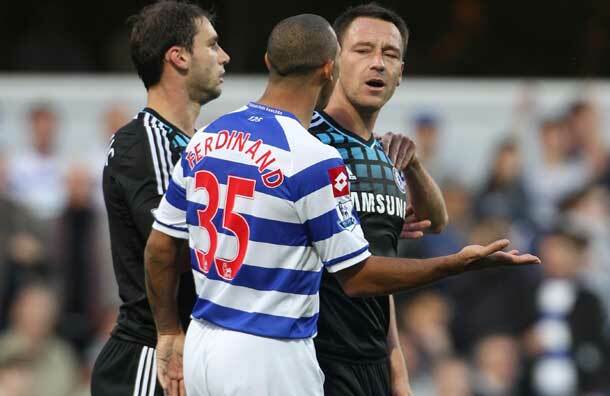 Capello got into a row with The Football Association, England’s governing body, over the group’s decision to strip John Terry of the captain’s band while a court of law determines if Terry is guilty of racially abusing Anton Ferdinand, a player on Queens Park Rangers. “They [the FA] really insulted me and damaged my authority,” Capello told the Italpress news agency. “What really hit me and forced me to take this decision was the fact the much-vaunted Anglo-Saxon sense of justice, as they are the first to claim that everyone is innocent until proven guilty. What is even more surprising than a team losing a coach with the best winning percentage in the country’s history – Capello was 28-6-8 – is the underlying reason that this happened in the first place. Terry’s alleged incident isn’t the first this year in English football, but what strikes us is the fact that it is player on player, just like the verbal altercation between Liverpool’s Luis Suárez and Manchester United’s Patrice Evra that led to Suárez receiving an eight-game suspension. Just what the heck is going on on the pitch? The game has changed in England as the top teams have grown more multi-national over the years. Take a look at the rosters of Chelsea, Liverpool, Man U., etc., and you see a healthy mix of English, Asian, African, South American and continental European players. You would think that kind of diversity in the locker room would carry over onto the field, but that may not be the case. Is it possible that this is just an English or European thing? Now we’re not naive enough to say that racism isn’t a problem in America – especially as long as Donald Sterling owns the Clippers – but you rarely see anything happen among the athletes themselves. You are always going to have your outlier nut jobs like John Rocker or Boston Bruins goalie Tim Thomas, but their comments weren’t directed at other players and didn’t come during a game. And John Calipari got himself in hot water for insulting a Hispanic reporter while Calipari was coach of the New Jersey Nets in the mid-’90s. But other than that, when was the last time race was a central issue in American sports? Al Campanis? Jimmy the Greek? American sports have definitely moved past the days of the quota system in the NBA, where teams would limit their rosters to two black players so they could room together on the road (see Terry Pluto’s book, Tall Tales for more on this); and we can’t imagine what would happen if an NFL owner had his players sing Dixie at a preseason team function the way Washington Redskins owner George Preston Marshall did (Bobby Mitchell retells the experience in the NFL’s 75th anniversary documentary). This isn’t to portray American sports as ideal – if racism is down, it’s only because it has been replaced by homophobia – but to point out that things have gotten better over the decades, at least among the teams in terms of race; we’re sure there are plenty of fans who haven’t changed with the times. So what about England? The group Kick it Out has been working since the late ’90s to “challenge discrimination, encourage inclusive practices and work for positive change” in the game. The group’s campaign is supported and funded by the game’s governing bodies, including founding body the Professional Footballers Association, the Premier League and The Football Association. The incidents with Terry and Suárez could be isolated cases and not symptomatic of a larger problem. After all, matches take place all the time around the country without any problems. And things are far worse in other countries (most notably Spain). But even the players are split on whether or not real progress has been made. Manchester United’s Rio Ferdinand (Anton’s brother), questions if the improvements are more than just superficial, however.